It was five years ago at a pre-season tournament at Queen’s University that Alleyn was given an unexpected opportunity. The day before Manitoba was slated to leave for the tournament, guard Stephan Walton got injured, opening a spot up for Alleyn. “I remember sitting on the bench and someone got an early foul so [Kirby Schepp ] threw me in the game really quick,” he said. Alleyn hit plenty more shots after that first game at Queen’s, at the end of his Bison career he holds the all-time points lead. He won the Canada West scoring title this past season, averaging 24.1 points per game. Alleyn became the first Bison to claim the scoring title since Manitoba joined the Canada West in 2000. 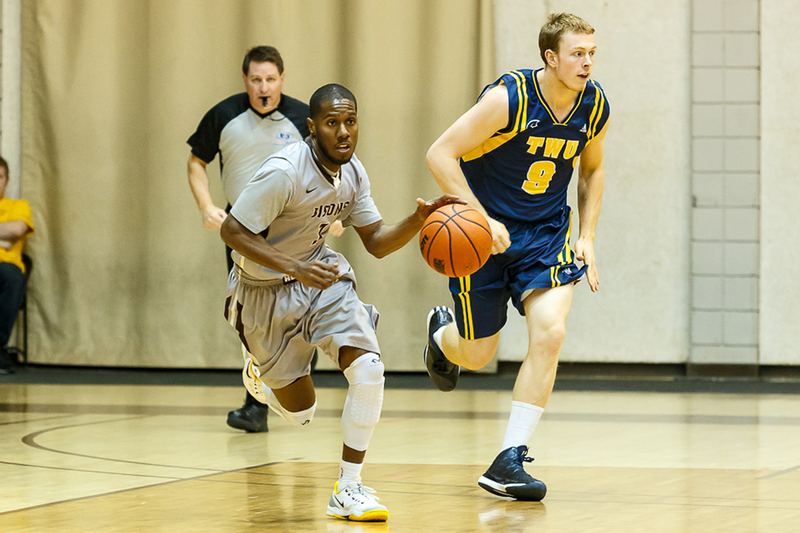 Alleyn was also named a Canada West first team all-star, again the first Bison to do so in the Canada West. He capped off the year by being named the Bison male athlete of the year for his efforts. In his final act as a Bison, he and head coach Kirby Schepp will represent Canada at the 2018 Commonwealth Games in Australia this summer. This is the second season Alleyn will pull on the maple leaf, playing for Team Canada at the 2017 Summer Universiade in Taipai. Schepp has called Alleyn one of the best players to ever wear a Bison jersey. Alleyn said he was humbled by the praise of his coach. Having spent five years playing under Schepp, Alleyn was able to completely understand his system and was able to become like a second coach on the floor. For the last two seasons, Alleyn has been a captain for the Bisons, and in his first season as a captain Manitoba made an improbable run to U SPORTS Nationals. 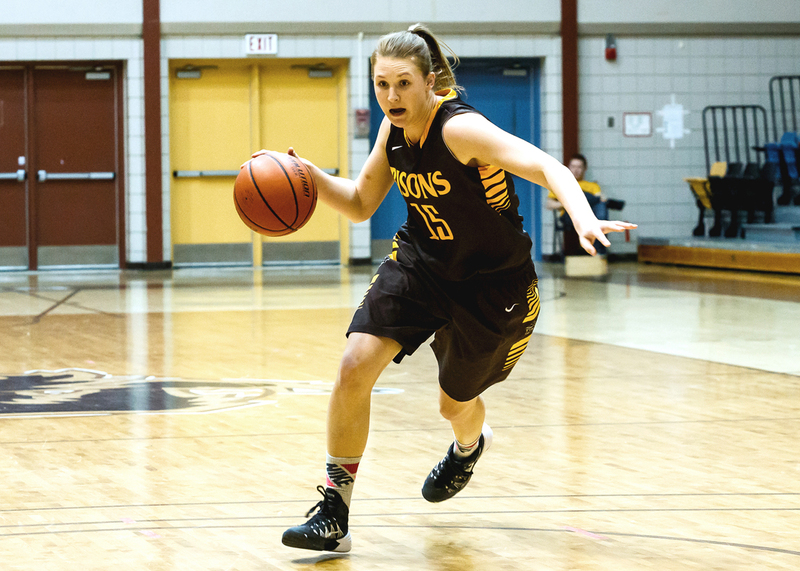 The Bisons were the talk of the town, after beating the University of British Columbia Thunderbirds in the Canada West quarter finals, then the University of Calgary Dinos in the Canada West Final Four to secure a berth at nationals in Halifax. “It just meant so much to the guys because we’ve been working three years, most of us, and we thought we were supposed to be there [a year prior] but it didn’t work out,” Alleyn said. The 2017 Bisons proved to Canada there is some good basketball being played in Manitoba, something Alleyn said he did every time he pulled on the Bison uniform. “We really get an opportunity to represent for Winnipeg and Manitoba,” he said. Alleyn has come a long way in his basketball from an emotional freshman from St. Paul’s, to a calm, cool veteran leader. Former Bisons such as AJ Basi and Keith Omoerah are off overseas playing basketball, which is something Alleyn hopes to do. For the moment, though, Alleyn said he wants to focus on finishing off his economics degree and preparing for the Commonwealth Games.